The talk of the town in San Francisco this week is certainly the cloud provider high above the city streets. No, not the fog, but the now annual rendition of “Dreamforce” put on by the world’s largest cloud computing company. Salesforce created captivating events across the city this week, but the Civic Center neighborhood was especially buzzing with energy. The world-famous group ‘Metallica’ was a large part of the Dreamforce festivities due to the band recently deploying Salesforce Marketing Cloud to create personalized content and experiences for different types of fans to enjoy. Metallica enjoys one of the world’s largest social media followings, making them a perfect choice to both speak and perform at the Salesforce conference. However, before Metallica could call for the Sandman to Enter, the streets around the Civic Center were filled with anticipation and excitement. Food trucks, vendors, and artists from all over set up shop in the UN Plaza just across from Trinity Place on Market Street. 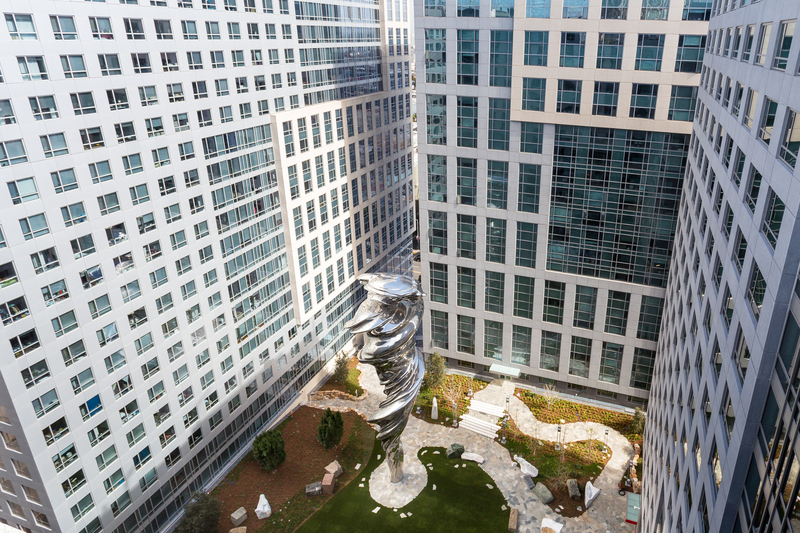 A brief walk for any resident living in the luxurious towers overlooking San Francisco’s tallest statue. After a relaxing but exciting afternoon, the night was capped with the Dreamfest benefit concert featuring Metallica and Janet Jackson. The party was rockin’ into the night, with locals and travelers from all over enjoying the music and fun. Metallica was certainly the perfect choice to light up the Civic Center. Dreamfest raised over $10M for charity, and it really couldn’t get any more San Francisco than that. 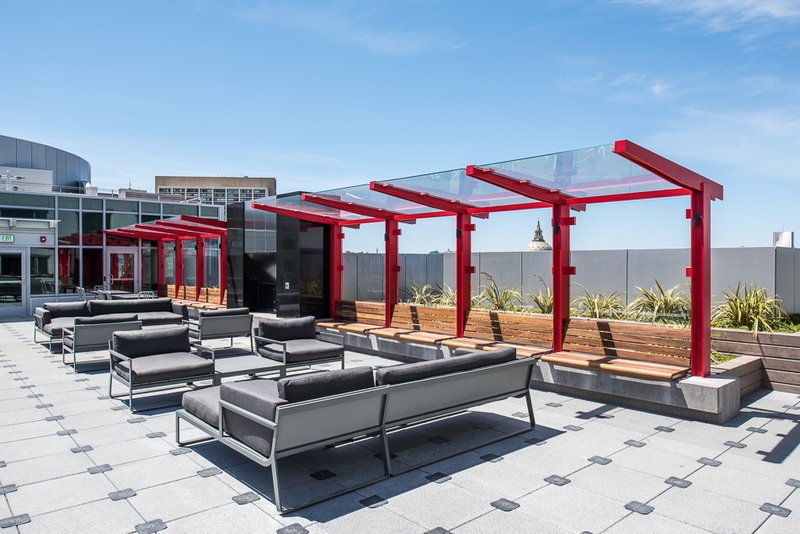 The place to be is certainly the rooftop of 33 8th at Trinity Place. The sounds of Metallica and Janet Jackson could be heard clearly and the vibe atop the luxurious rooftop is always tremendous. If you couldn’t make it to city hall Wednesday you are not to worry, this was just one of many events occurring in the area this year. The final event of the winter at the Civic Center will include an ice-skating rink and holiday activities. Check back next week to hear more about the festivities at the Civic Center. Interested in seeing the neighborhood? Trinity Place has three towers with a variety of leasing options to choose from, and a fourth coming nearby.